The King’s College now owns 102 Greenwich Street, a residential building in Manhattan’s Financial District. NEW YORK, NY, June 15, 2018 /24-7PressRelease/ — On June 12, The King’s College closed on the purchase of 102 Greenwich St. in the Financial District in Manhattan, a four-minute walk from the College. The building will provide on-campus housing for students in the Houses of Susan B. Anthony and Clara Barton starting this fall. The building at 102 Greenwich was formerly a hotel, the Riff Downtown. The space features 24/7 front desk service, an open-air inner courtyard, and a basement common area. After renovation, the basement will serve as a community space and will house washers and dryers for students. In the future, the College also plans to build a rooftop deck to provide additional communal space. 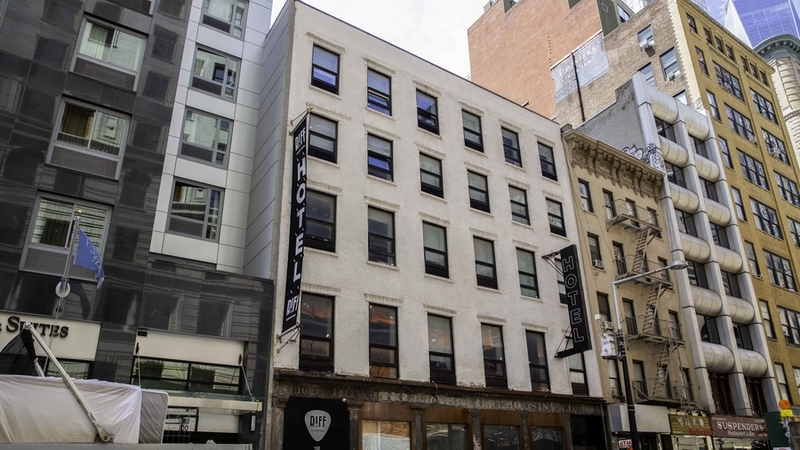 Besides its convenient location to the College, the building is steps away from Trinity Church Wall Street, Zuccotti Park, and the 9/11 Memorial. This fall, on-campus students in the Houses of Churchill, Lewis, Reagan, Bonhoeffer, Truth, and Thatcher will live in two-bedroom apartments on nine floors of a brand new high-rise building at City Point in Brooklyn. The two remaining Houses will live in other rented apartment buildings in the Financial District, with the House of ten Boom at West Street and the House of Queen Elizabeth I at Washington Street. All student housing is within a 15-minute radius from campus. For more than 75 years, The King’s College has educated young leaders to integrate their faith, ethics, and morality seamlessly into their lives and careers. The only traditional Christian liberal arts college or university located in the heart of New York City, King’s prepares students for principled leadership around the world. Visit tkc.edu for more information or request a personalized visit by calling 888-969-7200.